Code 3 Records Artist Services is now in association with KP SYNC LAB. KP SYNC LAB is a pre-cleared music library based in Paris and Brussels. Hand picked music spanning rock, pop, hip hop and more! KP SYNC LAB is proud to be a member of the UK & European Guild of Music Supervisors in London. 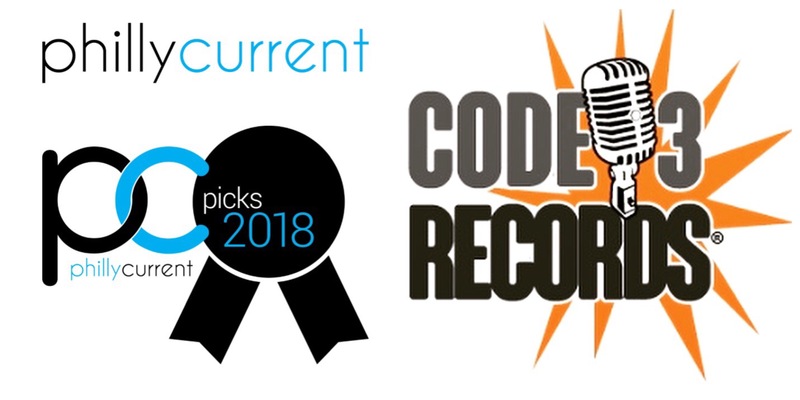 Code 3 Records Artist Services PC Pick 2018 ! Philly Current will show you Philly in a whole new way, taking the ordinary and making it special, taking the unique and making it extraordinary. It’s time to get excited about our city. It’s time to go with the flow of the Philly Current. Where to go, what to wear, where to eat, and how to be an awesome Philadelphian are just a few of the things you’ll discover in every issue. You’ll also discover emerging artists, dynamic personalities, and events we bet you’re going to want to attend.